Janley is a sleek sloop in well-preserved condition. 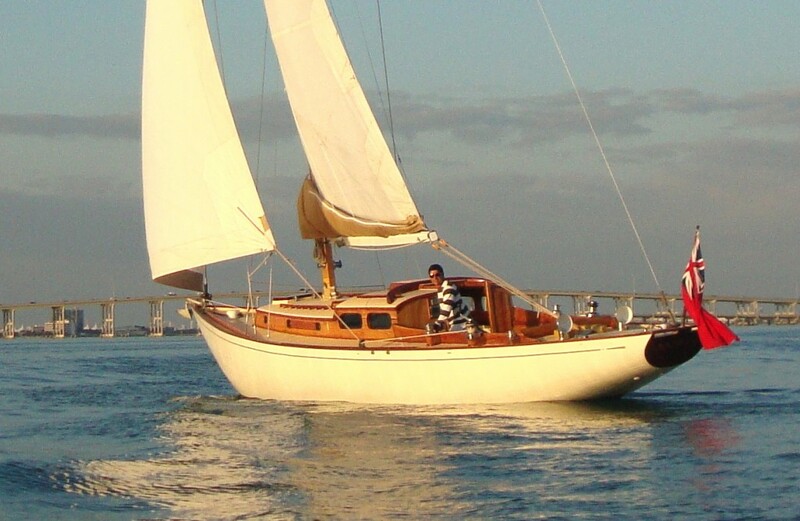 Built in California in 1948, this Kettenberg 46 was the rave of her time. She still greatly inspires with her timeless beauty, long overhangs, and tall rig. She has pristine white topsides that glisten and exterior wood trim in bristol shape. Roller furler and self-tailers make her a modern short-handling delight. This is a yacht to be admired and a yacht to proudly sail. She is fast to windward and loves to reach as well. Asking $55k.